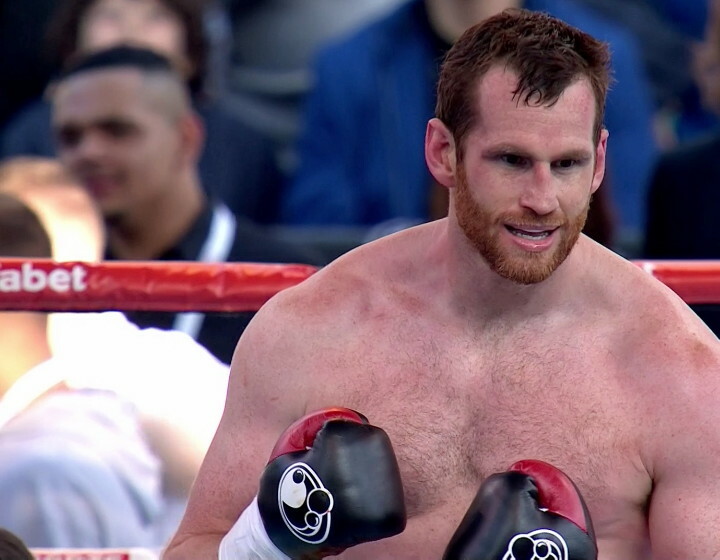 By Scott Gilfoid: #11 WBO heavyweight contender David Price (20-3, 17 KOs) could be two fights away from getting a world title shot against unbeaten IBF heavyweight champion Anthony Joshua, according to Price’s trainer Dave Coldwell. Price, 32, took an easy fight in his last bout in stopping little known Vaclav Pejsar in the 2nd round last May on the undercard of the Tony Bellew vs. Ilunga Makabu card in Liverpool, UK. That was Price’s first fight in a year. He looked slow and at least 20 pounds overweight. Price plans on stepping it up against a better fighter in his next fight. That might not be a good idea because he was getting nailed by Pejsar, and wound up marked up a little around the face. If a mediocre fighter like Pejsar was able to nail Price with shots, then you have to figure that a better fighter will be able to do a lot more. Coldwell wants Price to fight Joshua in November? That would be an awful idea, and I hope for Price’s sake that Joshua’s promoter Eddie Hearn doesn’t go for that option. I don’t think he will, because it’s such a horrible mismatch on paper. Knowing Hearn, he would stick the Joshua-Price fight on Sky Box Office PPV and wind up with a mess of angry boxing fans afterwards when Joshua destroys Price in round one. The only way I see Price being able to go six or seven rounds is if Joshua literally carries him by not using his right hand at all. If Joshua throws a hard right hand in round one, I can see the fight ending straightaway. Heck, even if Joshua just uses his left and jabs, I can see him knocking Price out in round one. I think he can handle getting hit by Joshua’s jabs without dropping for the 10 count. In looking at some of Price’s recent fights in the last two years, I think he’s slowed down dramatically to the fighter he was back from 2008 to 2011. Price looked faster than and a lot more dangerous with either hand. Since 2012, I think Price has been slowing down and not looking like the fighter that he once was when he was bum rushing everybody and knocking them out quickly. Somewhere along the lines, Price has lost some hand speed, and he’s put on some blubber on his frame. I can’t see him being competitive with Joshua, and I think nothing good could come of a fight between the two. Like I said, if Hearn makes a fight between Price and Joshua, the fans are going to be hopping mad after Joshua destroys Price in the 1st round. If Hearn makes that fight, I’ll be here to say ‘I told you so’ after Price gets flattened and the fans start reading Hearn the riot act. I think Price would be better off sticking to the domestic level round at this point in his career. Fights against Sam Sexton, Dereck Chisora and Tom Dallas would be good for Price. “Now, Pricey is going out there to inflict damage. This is heavyweight boxing and if you let a 16st, 17st or 18st bloke have a shot on your chin, I don’t care if you’re the heavyweight champion of the world – you’re going over,” said Coldwell. « How will Keith Thurman pair-up against Pacquiao or Mayweather?